What is ChemLinked Food Portal? Founded in 2014, ChemLinked food portal is a sub portal of ChemLinked (2012) and aims to provide one stop information service to help remove the regulatory barriers and facilitate Asia Pacific especially China market access. With over 30,000 global audiences and a steady stream of online traffic to our Chemlinked website we are the perfect choice to reach domestic and international companies, professionals and government bodies within the China and AP region. Why Choose ChemLinked as Your Regulatory Information Partner? The founder of ChemLinked, REACH24H Consulting Group also provides food compliance solutions for food products exported to China. 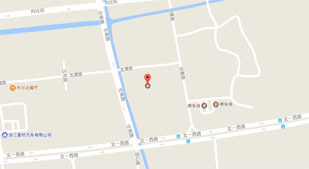 ChemLinked is based in Hangzhou, China. Our office hour is 9:00-17:30 GMT+8 Beijing time.